Ralph Werner's syndicated fairaudio.de review of WLM's La Scala hit the nail on the head. I'll cheekily assume he'd feel the same about my reviews of Red Wine Audio's Signature 30.2 and Isabella. Done. It means no further words are necessary on these components. Instead, we can segue straight into today's short characterization of how all this performs as a system. That's relevant because WLM's Hannes Frick became Red Wine Audio's Austrian importer and Vinnie Rossi picked up the WLM importation tab for the US. At least two markets now package this very system as a one-stop shop solution. It's particularly apt for the music listener who has no access to (or patience for) endless piecemeal auditions and who'd much rather entrust system synergy to two professionals who've joined forces on both sides of the Atlantic and put their reputations on this line of guaranteed satisfaction. The only new item about the La Scala since Werner's review are clever donut slivers. With these port inserts, the owner can tweak the relative bass balance to room and liking. Because the downfiring plastic port tube slightly narrows inwards, the perfectly contoured inserts (there are two different hole diameters) create a compression fitting. It's easily undone without screws, marks or curses. One can thus experiment with three different port diameters from large to medium to small. Ingeniously simple and effective. The included stainless M8-thread spikes are unusually long. It allows additional fine-tuning of the gap height between floor and port. And because WLM has always championed adjustability, the half-height rear terminal plate offers a +/-3dB tweeter contour for the unusual 64mm/2.5" Visaton paper cone tweeter. That seemingly old-fashioned unit, surprise, appears to be the same which flash light suggests lives behind the perf grill of my WLM Grand Viola Monitor's Super PAC treble module. 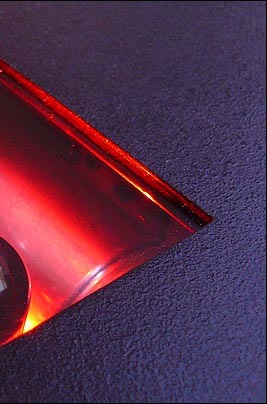 The PAC simply runs two tightly matched paper domes per side in a splayed and horn-loaded array. Spotting the apparently same tweeter from WLM's dearest models on its least expensive model is a nice boost for the cash-conservative shopper. You should feel smart already! Much about the system sound can be predicted if you've read the above or other reviews. 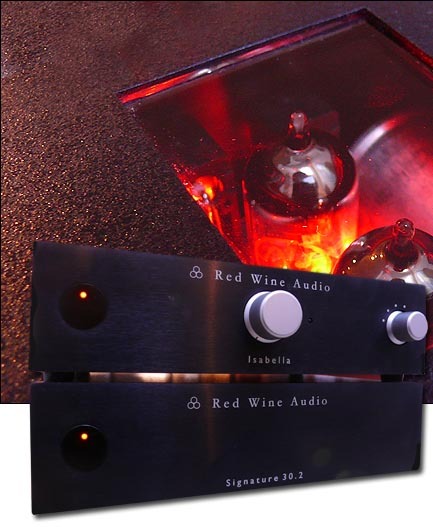 The Red Wine Audio gear has almost universally been described as gutsy, dense and dynamic, with unbelievable bass for its power rating if not the most extended airy treble but a complete absence of grain instead. 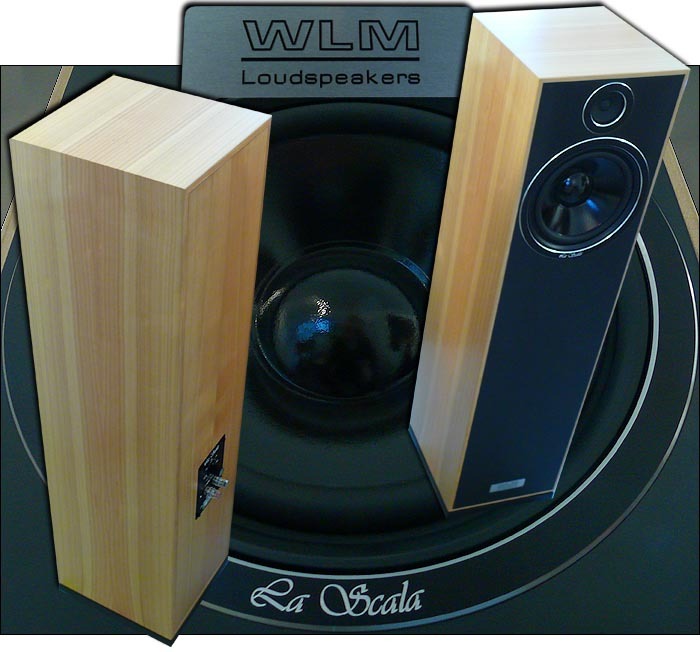 The WLM La Scala shares those values to near perfection. With that large tweeter cone from apparently yesteryear, it also mirrors the grainless but not ultimately sparkly high-frequency handling. When these components meet, those qualities reinforce one another for a vintage presentation that's fleshy, massive and with "who-needs-more?" solidly grounded low frequencies. It is capable of high SPLs without a hint of nasties and sufficiently resolved to be hi if not modern fi. With a proviso that is. Do not swallow the red pill. Er, cables. My first go-around ran my best one-box source (APL Hifi/Esoteric NWO 3.0GO/UX-1) via a 4-meter run of ASI Liveline into the Isabella. The low-level link to the 30.2 was Red Wine Audio's own as were the speaker cables. For those attuned to modern fi and thus desirous of more air, the +3dB tweeter boost (possibly in conjunction with a port insert to cut a bit of output on the other end) might shift the relative balance. Some. But knowing these components individually, I rather suspected the cabling of the pervasive sense of opaqueness that overlaid the initial presentation. I wasn't so much faced by too much bass or too little treble. Rather, the sense was one of distance and 'buffering', as though mufflers had gotten inserted between piano strings and ears. Separation was challenged, harmonic development squashed and the spark of life extinguished. I needed blood thinner and a charge of cobweb-clearing adrenaline. Out with the red speaker cables, in with my customary Crystal Ultras for a small but insufficient step in the right direction. Out with the red interconnects next and in with the Crystals. Better but still no lit cigar. So out with the Crystals and in with a second set of (unnecessarily long but I had no shorter) Livelines. Bingo. In inverted directionality from tube preamp to battery-T amp, this substitution, I kid you not, radically opened up transient speed. More importantly, overtone halos around struck and plucked strings reappeared and with it, also the reediness in woodwinds and the pepper in Latin brass. Now I was hearing what I thought I ought to given my high acclaim for the individual pieces. I'm not one to question another man's tastes. I know that Vinnie Rossi and Ken Ball of ALO Audio collaborated hard on voicing RWA's red cables. 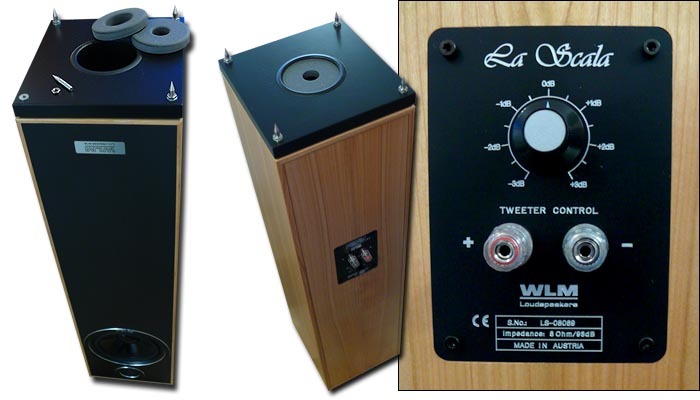 Yet to these ears, the gold-plated silver lC simply lacks the extension, speed and harmonic recovery essential to lift the live vibe off the grooves. Your own ears will be the judge. With the Frank Tchang / Gabi van der Kley cable combo, my ears pronounced the resultant sound a major success. What I didn't get in even that best-case-chez-Ebaen scenario was the kind of filigreed-out, micro-obsessed separation other review systems offer. You could call those close-miked or nearfield effects. Or benefits of holography and heightened overtone visibility. Whatever has you relate to this performance aspect, it's one this system regards as quite secondary. The emphasis instead is on fleshy, dense, very dynamic 'analogue' mass, not the teasing out of inter-performer spacing, fully developed harmonic specters surrounding individual tones nor the checker-board sorting of localization by sharpened image outlines. However, if by digital sound we mean lean, thin, hyped to paint in broad strokes; and by analog massive and dimensional; then this system driven from a digital source is analogue-ish with an exclamation mark. Such sonic priorities include dynamics not of the sting-like-bee but real weight kind that at first might have you rush for the remote because peaks seem unusually loud. Tympani and other hard-hitting transient bass exciters get ferocious. Fans of trip, hip and all other kinds of 'hop' will appreciate this system's ability to rock hard without frazzling at the seams. Ditto for lovers of large-scale symphonies which during playback live and die on the believability of scale and impact. As Ralph Werner explained and I will confirm without hesitation, the LF moxy of these boxes is surprising, particularly when in the grip of the SLA batteries' current delivery. Unlike hyper-accelerated horn dynamics, the RWA/WLM system dynamics major on impact, not blister. boxes. 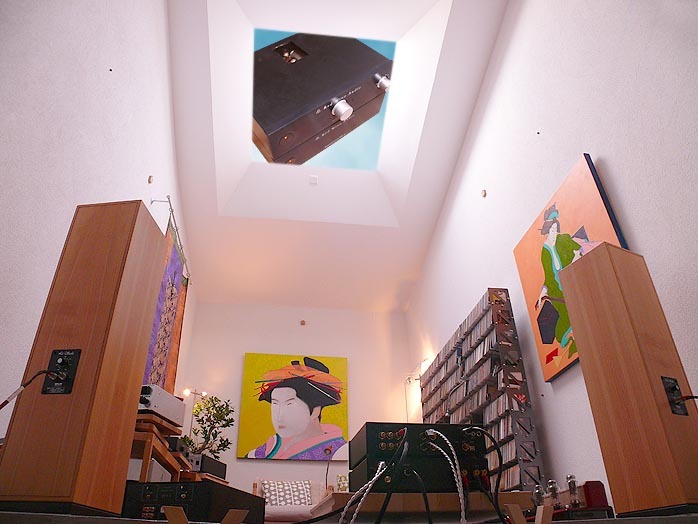 Vinyl devotees particularly in the upper entry-level -- say $3,000 tables -- know exactly what the strengths are over even rather more expensive digital. 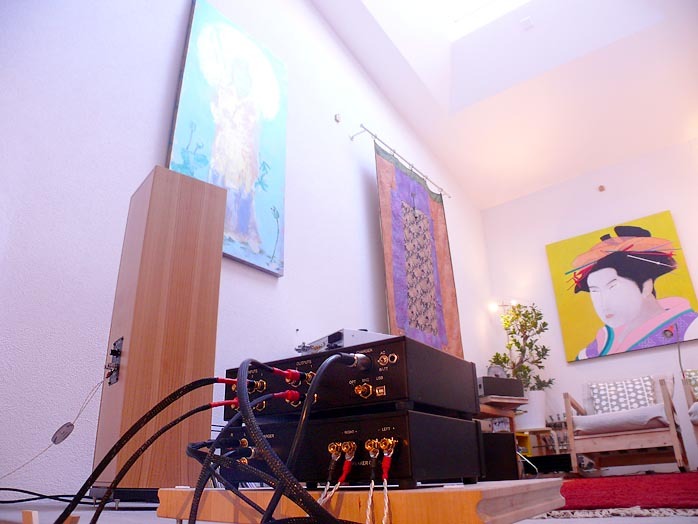 To get more 'resolution' then requires spending more on a cartridge or phono stage. 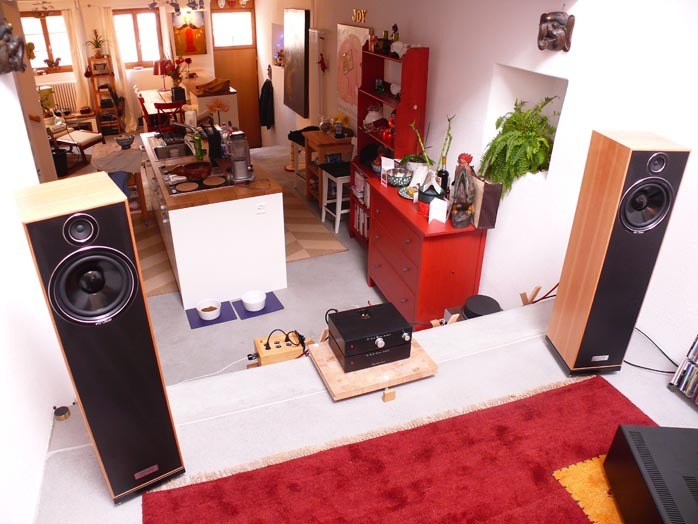 This particular system already lives in the kind of vinyl-sound neighborhood that's got all the major analogue virtues in place. For higher resolving power particularly above 2000Hz, you'd want a more expensive pickup or here, a WLM Super PAC tweeter module or a FirstWatt F3 or F5. But monkeying around with subjective resolution often tampers with the fundamental basics. This system with copasetic cabling is built upon warm full tone with mass and sock-em if not speed-freak dynamics, true bass grounding and the right amount of musically relevant magnification power to never get wearing, thin, edgy and hence, frustrating. It's a meat 'n' potatoes sound of substance. It has gratifying scaling power both in soundstaging and loudness. It's heavy on integration and far lighter on analytical separation. It's for 'feeling' rather than 'seeing' listeners. To wrap, the RWA + WLM collaboration is a like meets like rather than opposites attract and complement each other thing. Whether you start with the electronics or speakers, you're pretty much guaranteed more of what attracted you in the first place when you make the next move. From owner feedback, this even includes corporate ethos or rather, the without-my-customers-I'm-nothing attitude of two very pleasant and like-minded small entrepreneurs who refuse offshore labor and major on support and service. 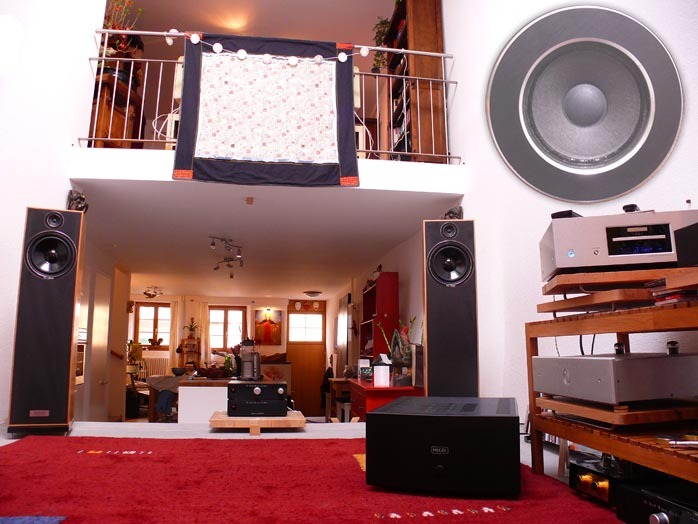 You not only acquire reliable, solidly engineered hifi. You're supporting players with old-fashioned standards of conduct. That's doubly important when you go the mail-order route. And that's a very big reason for this, our first but not last system review. Many readers can't piecemeal a system with personal auditions. They need a solid recommendation for a turnkey solution. They don't want all-in-one jukebox deals or one-brand offerings where either the electronics or the speakers would be the weaker link. For such shoppers whose priorities overlap with the above sonic sketch, today's system is a very solid, warm and feisty recommendation.